Arriving at Crowne Plaza Changi Airport for a weekend staycation after a long 12-hour flight (as a way to extend our holiday and to relax before getting back to reality with household chores and work), we were surprised by the proximity of Crowne Plaza Changi Airport to the Terminal 3 Arrival Hall. Upon collecting our luggages and exiting the arrival gates, we turned left and reached the hotel after walking straight for just about 5 minutes at a leisurely pace. 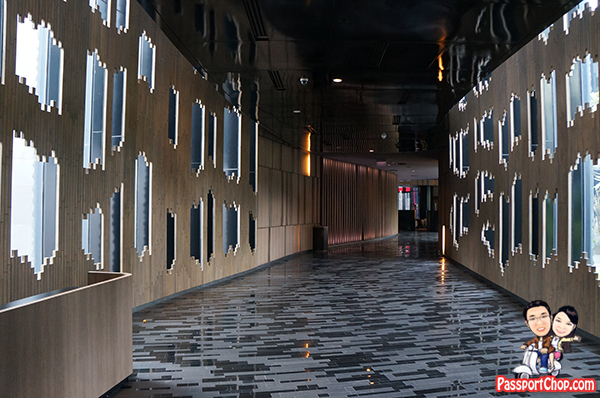 Thankfully, the lightings along the walkways to the hotel lobby and also the hotel lobby itself were dim and subdued – no bright lights that might assault the senses of a tired jet-lagged traveller still adjusting to Singapore’s time zone after a long flight. After checking into our pool-side room, we noticed that the guest rooms were designed with the jet-lagged traveller in mind – the rooms have a theme of calm nature, as a soothing respite from the strain of long travel. The color tones in the room were subdued (cappuccino and soft green) and excellently complemented with the room design from the an artwork wall of Plumier flowers on the bathroom glass to the carpet which is designed as an abstraction of light sparkling through leaves. Travellers can also refresh themselves in the separate bath (with a good long relaxing soak in the bathtub) or rainfall shower in the glass-panelled bathroom. The room is kept neat and uncluttered thanks to the many hidden compartments on the settee below the TV and along the long walkway that leads to the bedroom. The floor-to-ceiling windows offer great views of Crowne Plaza Changi Airport’s swimming pool or the Terminal 3 runway (depending on whether you have selected a poolside room or runway room). 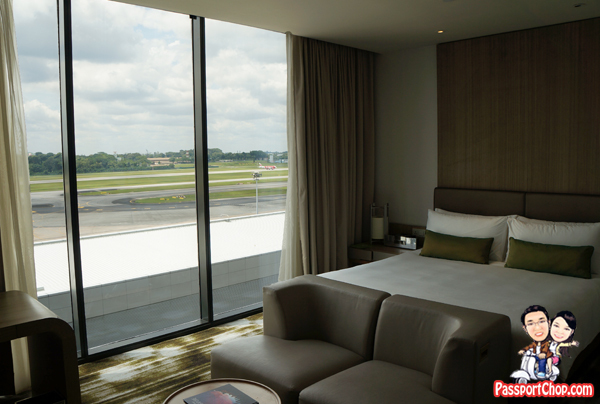 The rooms at Crowne Plaza Changi Airport are heavily soundproofed for the obvious reason that they are located right next to the airport runways. However, if you are a light sleeper, I suggest that you indicate your preference for a poolside room as they are slightly further from the runway and buffered by the runway rooms. If you are a plane-spotting enthusiast or having a family staycation with your kids, a runway room might be more exciting for you and your kids but be prepared for the jet takeoff and landing noise. Besides functioning as a space to rest and recuperate, Crowne Plaza Changi Airport’s guest rooms also serve as a working space for the business traveller with the large work desk and connectivity options (in-room wired internet is available at a charge – you can request for Wi-Fi to be setup (no additional charges for installation); the hotel technician will install a wireless router in your room). If you are a Crowne Plaza Club member, you can enjoy complimentary wireless broadband internet access in the Crowne Plaza Club Lounge (request for the password from the friendly Club Lounge staff. 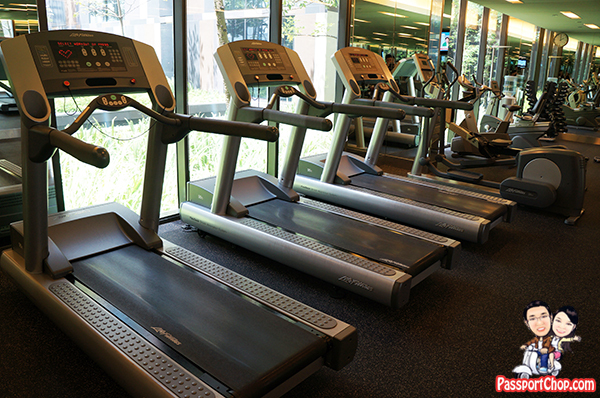 Crowne Plaza Club Members can also enjoy complimentary use of 24-hours fitness centre facilities in the hotel. Here, there are a whole suite of free weights (dumbbells) and fitness machines e.g. treadmills, exercise bikes that you can tap on. Perfect to burn the calories gained from the buffet indulgence at Azur. We have checked out a few airport hotels during our travels and most of such hotels have minimalist functional designs since they generally cater to touch-and-go business travellers – Crowne Plaza Changi Airport is definitely an exception with the attention paid to the small details in the room decor and traveller needs. Crowne Plaza Changi Airport encapsulates elements of both city and resort hotel with sleek modern lines that are unmistakably contemporary. The open walkways with luxuriant greenery and beautiful water features enables guests to enjoy the balmy tropics and the hideaway resort feel. The lobby lounge faces a rainforest garden and is decorated with tropical orchids. 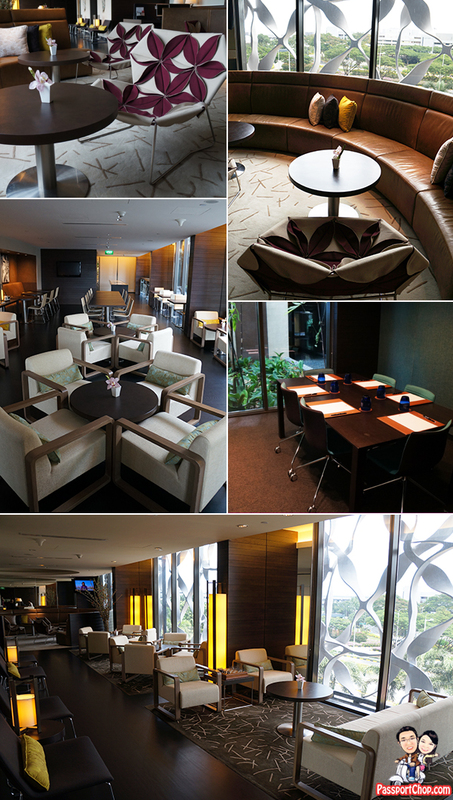 The furniture in the lobby lounge is derived from tropical fruits, both in colour and form. There are benches like slices of papaya at the front door, while the various chairs use the concept of “peel” and “seeds” in the detailing of fabrics and cushions. The carpets are in fruit colours dotted with striking seed motifs. From everywhere in the public areas there is contact with lush gardens – including surprising views upwards to rainforest trees through a water covered skylight. There are 2 large courtyards in Crowne Plaza Changi Airport – one is water filled with a huge swimming pool and deck while the other is a lush tropical garden with rainforest trees. It is less an airport hotel than a comfortable and stylish hotel in a convenient location for travellers – a contemporary urban resort ‘Where the world meets Singapore’. The convenience and proximity of Crowne Plaza Changi Airport is also unparalleled – most airport hotels are called “airport hotels” because they are near the hotels but usually require a 10-15 minutes drive. Thus the concept of the hotel being literally attached to Changi Airport Terminal 3 is definitely a huge plus for tired travellers who can’t wait to refresh and rest after a long flight. 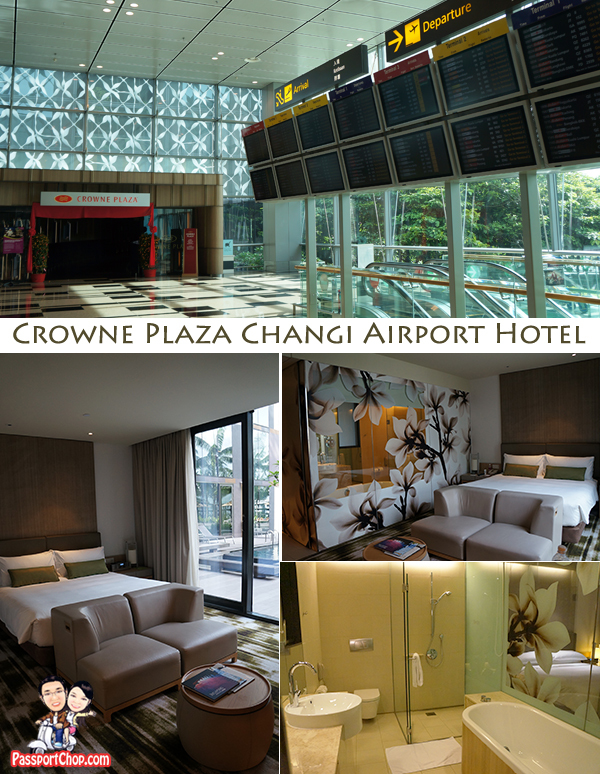 The Crowne Plaza Changi Airport is located within the immediate vicinity of Changi Airport. 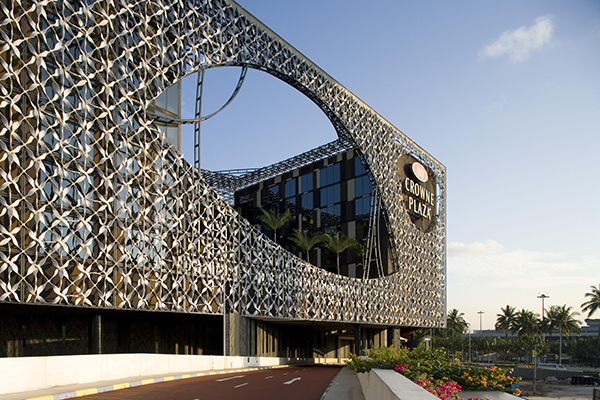 Linked to Terminal 3 via covered walkways, the 9-storey hotel has 320 guest rooms; a 100-seater Crowne Plaza Club Lounge; and executive class amenities such as restaurants, meeting rooms, conference rooms, spa lounges, a swimming pool and a health and fitness club. Guests are also able to access Terminals 1 and 2 via the Skytrain Service that links all three terminal buildings. Parking is at Terminal 3 Car Park 3B. Prevailing parking rates apply. 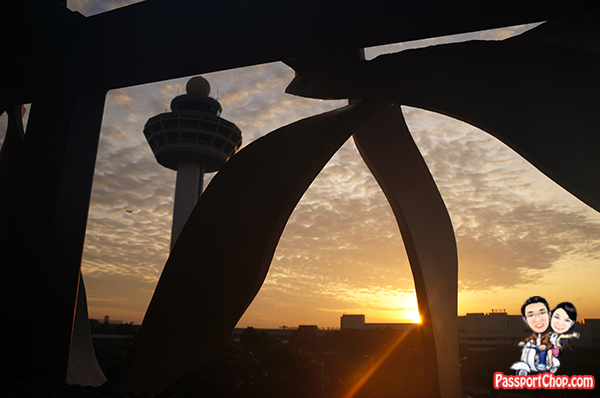 Get off at Changi Airport station along the green East-West line – there are 2 exits (to Terminal 2 and Terminal 3) – take the exit to Terminal 3. Follow the signages to Crowne Plaza Changi Airport. Google, and found that it’s truly informative. I am gonna watch out for brussels. I will be grateful if you continue this in future. Numerous people will be benefited from your writing. Cheers! for a related matter, your website came up, it seems to be great. future. A lot of other people will likely be benefited from your writing. you might have a fantastic weblog here! Urban Resort �Where the world meets Singapore� | Singapore Travel Blog < Liked it!